Our Newest Collaboration: “Happy Camper” CBD Kombucha with Lenny Boy Brewing Co.
As Blue Ridge Hemp has grown over the past few years, our success has opened many new doors to us. One of the most exciting new doors is collaboration. We have had the honor of working with many local businesses to create hemp-infused products that combine our unique skills with those of others. All of our past collaborations have taken place within the Asheville area — but now, we are expanding our collaborations outside of town and connecting with a business in Charlotte, NC:Lenny Boy Brewing Co. We are excited to continue focusing on local economy and business by reaching out a little farther into North Carolina. Lenny Boy Brewing Co. brews a variety of non-alcoholic and alcoholic beverages. 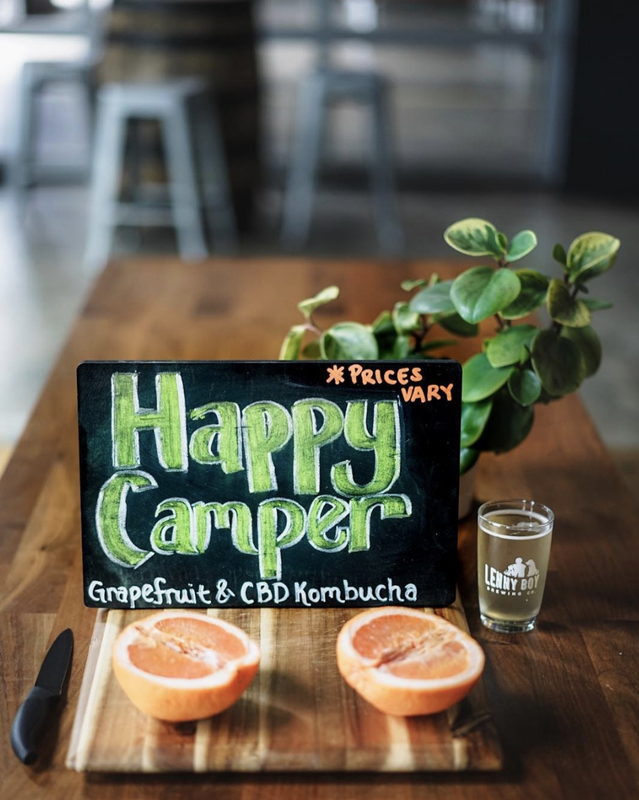 We teamed up with them to create “Happy Camper,” a grapefruit kombucha infused with 10mg of CBD per 14oz. It combines rich citrus flavor with the health benefits of kombucha and possible benefits of CBD! We’ll be releasing the product at Lenny Boy’s brewery in Charlotte, NC this Saturday, August 4th. In the meantime, we want to share all about this awesome company and how our collaboration came to be! We interviewed Townes Mozer, owner and founder of Lenny Boy, to learn all about his fermentation business. Townes’s passion for kombucha began in 2008, when he visited a friend in Oregon who happened to be making a small batch of kombucha at home. As his home brew became more refined, Townes’s friends began encouraging him to consider selling it. In 2009 and 2010, Townes began putting his business degree to use and formulated a plan for selling his kombucha. Herbs are added to a kombucha to enhance flavor during the brewing process at Lenny Boy. He didn’t yet have the resources to take this plan into action, though, so he took some time after graduating to work and be connected to the earth. For a year, he lived and worked on an organic farm outside of Asheville in Spring Creek, NC. He continued brewing at home, and his farm work also allowed him to play with new kombucha flavors. “I learned the seasons, and applied what I learned in the seasons to fermentation.” He also took this time to reach out and network to find interesting ingredients he could use in future fermentation. Townes finished his year at the farm and returned to his hometown of Charlotte, NC. He worked an 8–5 job for several months, but remained focus on his goal of selling kombucha. 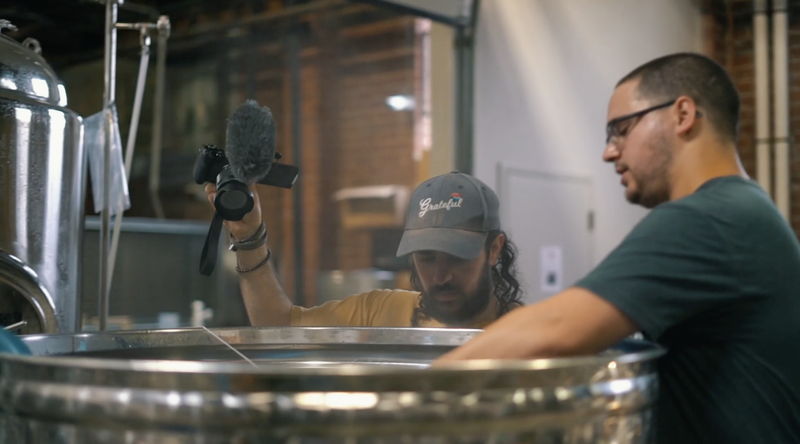 He connected with Blue Ridge Food Ventures in Asheville, where he used their kitchen to make product and bring it back to Charlotte. 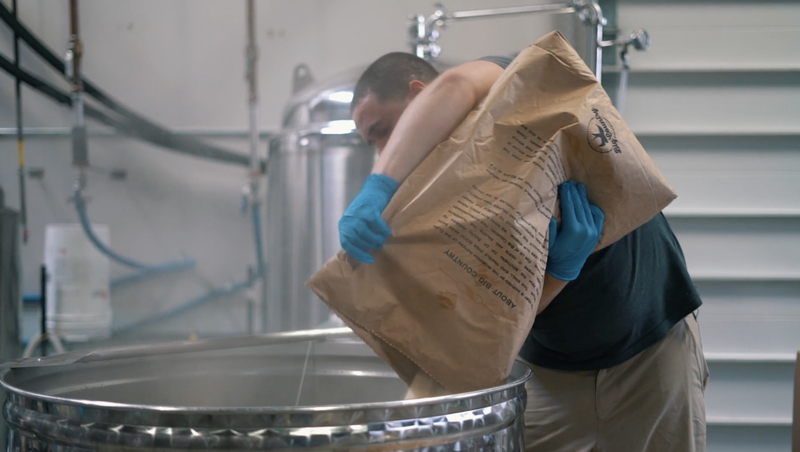 He sold these ferments on the side of his day job, and worked constantly to bring his goals to fruition — during lunch and 15 minute breaks at work, he made phone calls to network and organize his plans. He soon outgrew the small kitchen space he was using. After about four months, Townes needed more space and was able to open a brick and mortar shop in Charlotte. It was very small and allowed him to brew about 400 gallons of kombucha each month — all while still balancing his day job. From there, things transformed. Townes was able to quit his day job and step fully into his career as a brewery owner and brewman in under a year. In 2013, Townes became fully self-employed and opened one of the first kombucha taprooms in the country. He also soon solidified a beer license, and had both kombucha and beer on tap. In 2014, he had the opportunity to take an even bigger step. 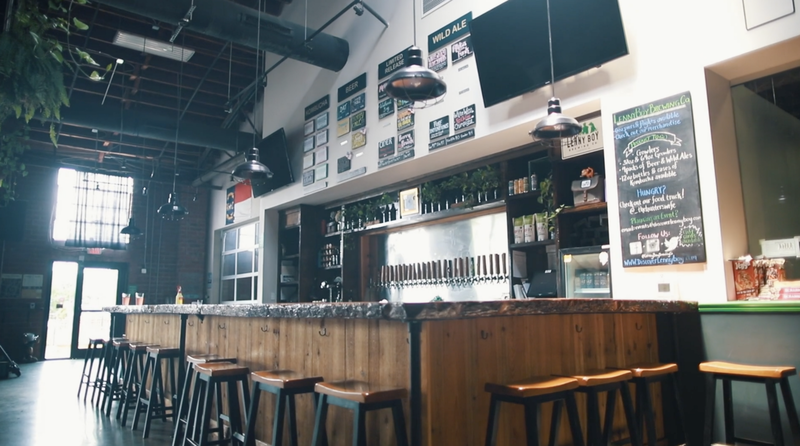 He signed a lease on the next unit over, where he installed a larger beer system and taproom. In September of 2015, they moved into the new space. It was a big shift — in a mere two years, Lenny Boy had expanded from a 2000 square foot space to a 31,000 square foot space. This location is where Lenny Boy now thrives. The large space has allowed for higher production and also paved the way for more community involvement. Lenny Boy has provided its space to host weddings, Ted Talks, concerts, nonprofit events, and more. Kombucha is a fermented, non-pasteurized beverage. It is high in B-vitaminsand amino-acids, and loaded with probiotics, which support a healthy digestive system. The impact of a probiotic strand is specific to an individual; some strands will be helpful to one body but won’t have any effects on another, so Lenny Boy’s broad spectrum of lactobasillus makes the product beneficial to a wide array of people. This nutrient-rich beverage is the perfect companion for CBD, which has a wealth of its own possible health benefits. Lenny Boy connected with Will on Instagram, and the partnership quickly blossomed from there. 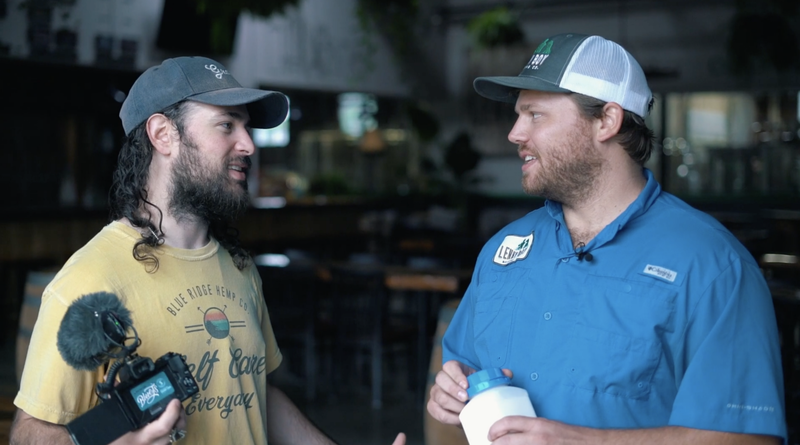 Townes had been considering creating a hemp kombucha for quite some time, and was immediately impressed with the structure and goals of Blue Ridge Hemp. When Will finally toured Lenny Boy’s brewery and met Townes, the chemistry was instantaneous. The first meeting was a dynamic brainstorming session, and ultimately yielded “Happy Camper,” the Lenny Boy Brewing x Blue Ridge Hemp grapefruit CBD kombucha. The partnership has paved the way for this delicious new product (which you can taste for the first time at Lenny Boy’s release eventin Charlotte, NC! ), but is also an alignment of two companies with shared values. Both Lenny Boy and Blue Ridge Hemp Co. have a commitment to creating products that support wellness and using their success to foster community. Hemp from the Blue Ridge Hemp farm, which is used in Blue Ridge Hemp topical and superfood products. 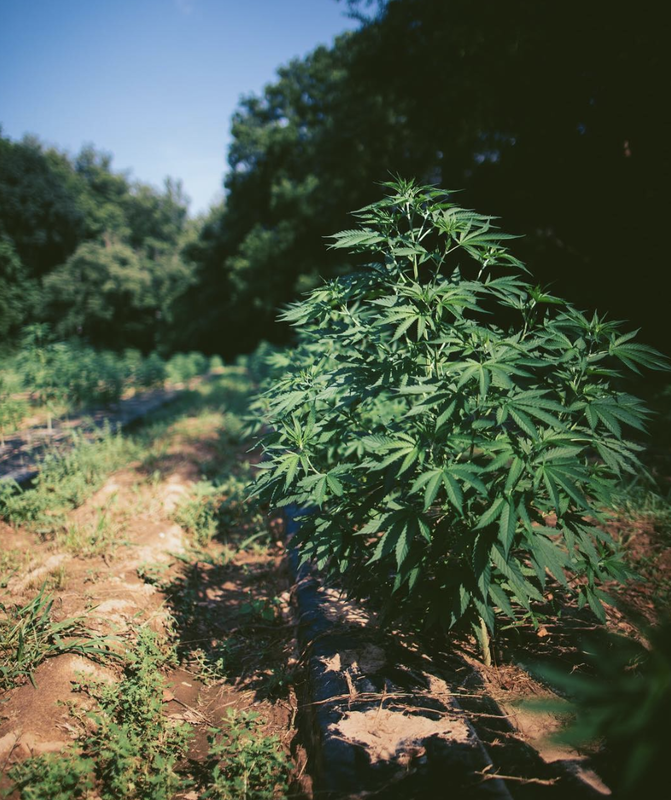 Both also support local farms.The Blue Ridge Hemp farm is the source of our products, and the CBD Superfood recipesalways incorporate produce from Asheville’s farmers. Lenny Boy achieves their diverse array of kombucha flavors thanks to local farm produce; they use a lot of “grade 2” produce that is great to eat but cannot be sold at a regular retailer due to aesthetic flaws. 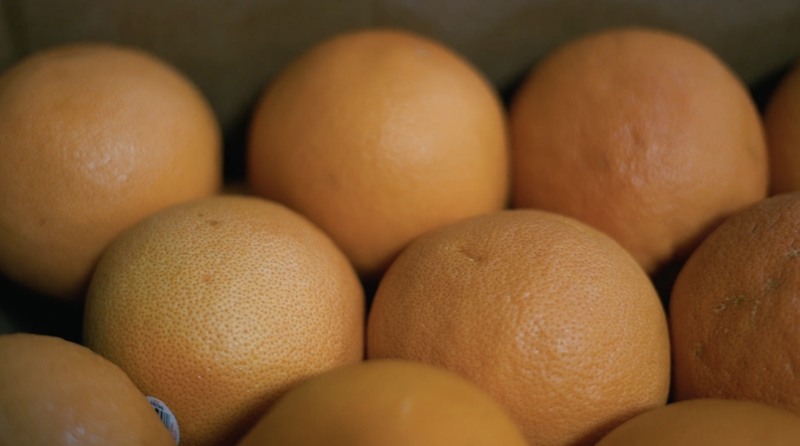 This supports local farms and sustainability, because these fruits and veggies would normally get thrown away. Like Will, Townes is grateful to have the power to create jobs for people who are in need of stable income. Try Happy Camper With Us! We’re so excited to celebrate this new partnership on Saturday, when we release “Happy Camper” grapefruit CBD kombucha to the public! Come out to Lenny Boy Brewing to be one of the first to taste this new beverage — and be sure to try Townes’s other favorite products (he recommends the kombucha “Wake Up Call,” the seasonal kombucha “Fresh Basil,” the beer “Dat Pale Ale,” and the wild ale “Phantom Vibrations”). Together, let’s toast to delicious foods that support wellness, cannabis, and symbiotic partnerships!